A novelty of Tucson 2008. 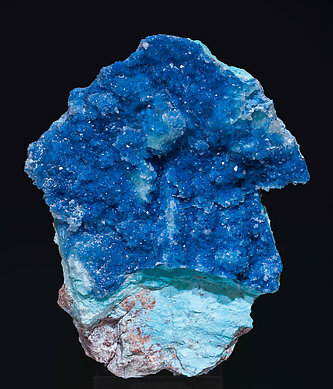 This Shattuckite specimen comes from the recent works in the Kandesei Mine, on Kaokoveld, that started recently to mine for collection specimens. 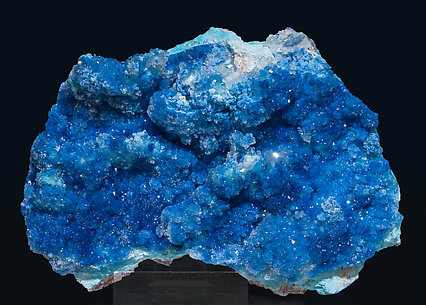 Very esthetic botryoidal growth, with an intense and very uniform color. 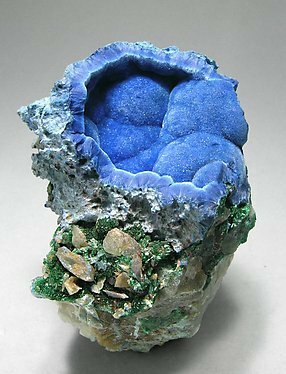 “Nest” of botryoidal growths of Shattuckite of very deep blue color, on Quartz matrix, with small crystals of Malachite and Cerussite. Really beautiful! 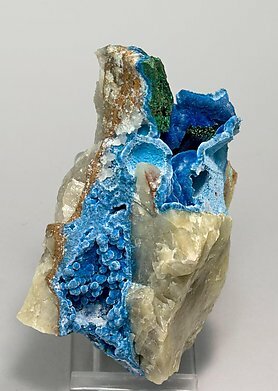 Deep blue botryoidal growths filling a vug on a crystallized Quartz matrix and Malachite. 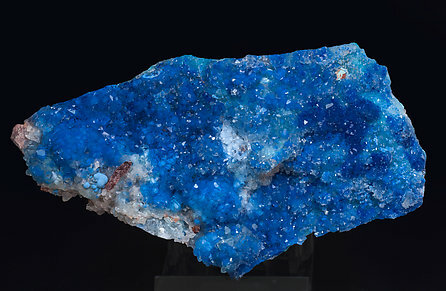 The mining has been abandoned so probably we must expect an increasing scarcity of this kind of sample in the mineral market. 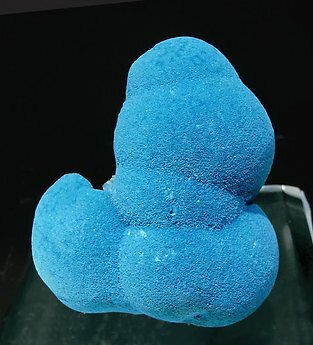 Globular growths of Shattuckite with a very deep and uniform blue color. 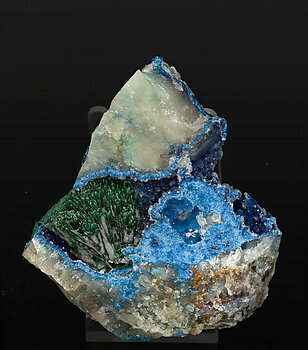 They are coated by microcrystals of clear Quartz and are with a bundle of acicular crystals of Malachite on a matrix of Quartz. 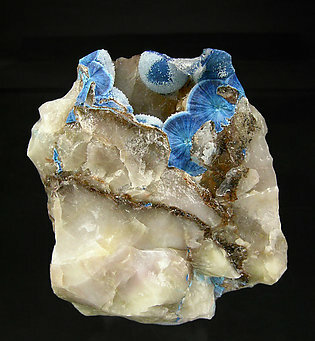 Crustal and globular growths of Shattuckite with a felted surface and a very uniform and intense blue color, with aggregates of acicular crystals of Malachite, on a Quartz matrix. 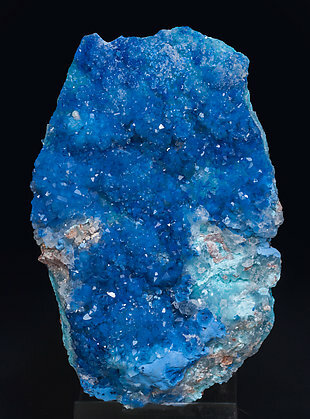 Fine botryoidal Shattuckite aggregate, with an intense and deep blue color, that fills a vug on a Quartz matrix with crystalline Malachite. 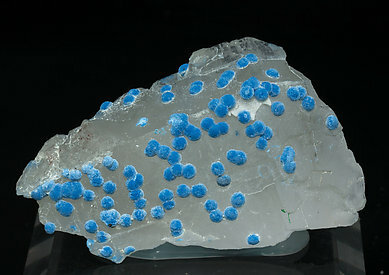 Globular groups of deep sky blue color filling a vug on a Quartz matrix. 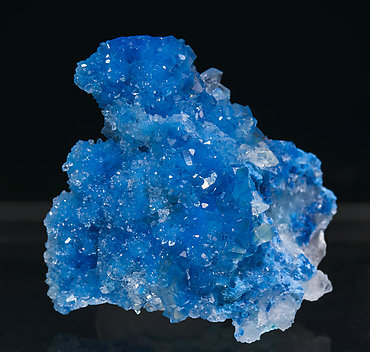 The mining has been abandoned so probably we must expect an increasing scarcity of this kind of sample in the mineral market. 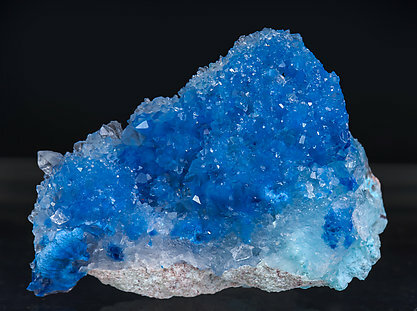 Very well defined and isolated globular growths with velvet surfaces and an intense and uniform blue color. They are partially coating a Quartz matrix. Original. 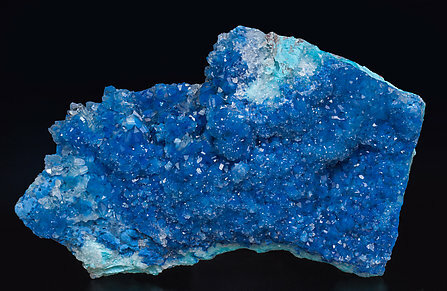 Fine botryoidal Shattuckite aggregate, with a felted surface and a very uniform and intense blue color with, with clearer blue borders with an intense and deep blue color, that upholster a vug on a Quartz matrix. A novelty at Tucson 2019. 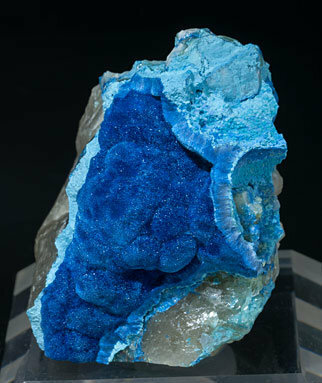 Felted Shattuckite surfaces with a very intense and deep color, included in very bright Quartz crystals. 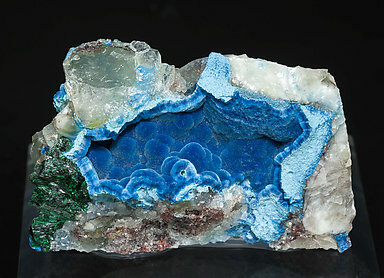 On matrix with small Chrysocolla coatings with a pale green color. 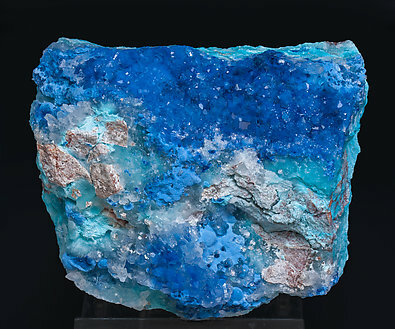 As well as their beauty we must note that, as a novelty, the presence of the well-crystallized Quartz at Milpillas is a very rare occurrence. A novelty at Tucson 2019. 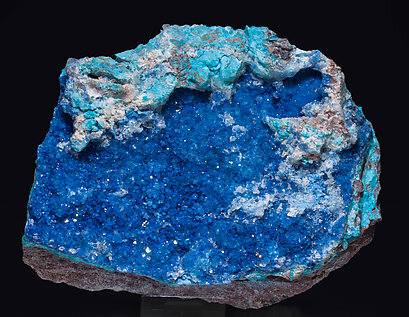 Shattuckite surfaces with two concentric generations, a first one felted and with a very intense deep color, and a second one botryoidal with a sky blue color. 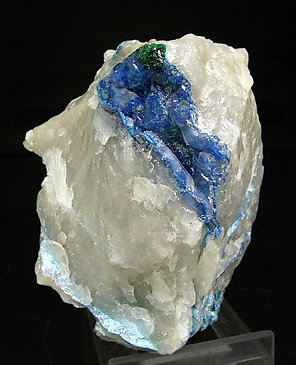 The first one is included in very bright Quartz crystals on a matrix partially coated by pale green Chrysocolla. 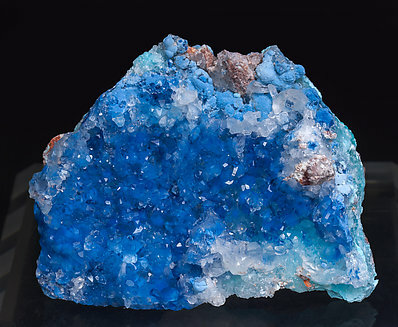 As well as their beauty, we must note that, as a novelty, the presence of the well-crystallized Quartz at Milpillas is very rare.